> News Product News Power Surge! 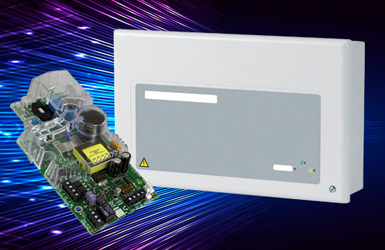 C-TEC has launched a revolutionary new range of customisable digital-hybrid switch-mode power supplies. LPCB certified to EN54-4/A2, the BF560 range features three 24V 1.5A and two 12V 2A units, all of which can be customised to suit a customer’s exact requirements using a configurator and PC. Perfect for powering beam detectors, auto-dial communicators, aspirating smoke detectors, auto-open vent systems, auxiliary sounder systems or any other device performing a mandatory function of a fire alarm system, each power supply also features a bi-directional data port which allows valuable data such as thermistor measurements, battery terminal voltage and system voltage to be extracted and analysed. All units are also supplied with a protective plastic safety cover to protect installers and service personnel against accidental contact with live parts. Contact our sales desk on +44 (0) 1942 322744 for more information.